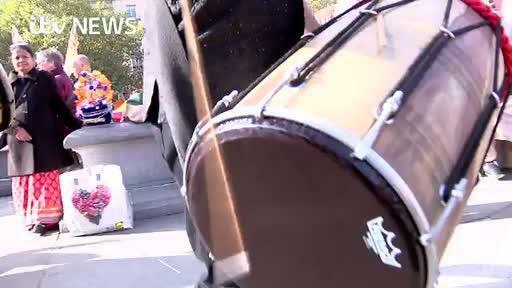 There was dancing in Trafalgar Square on Sunday as people gathered to celebrate Diwali, the Hindu festival of lights. 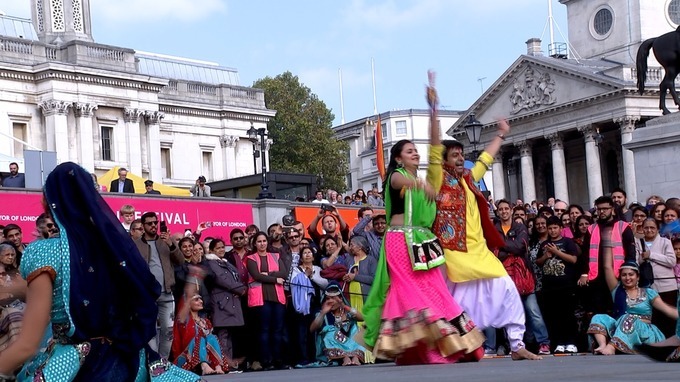 Around 35,000 came to central London for the event, which has been hosted at Trafalgar Square on 16 occasions. The sunny setting was the perfect atmosphere for people from around the world to join in the dancing at a one of the country’s most recognisable locations. Trained dancers and singers performed for attendees, but there was plenty of opportunity for anyone to give it a go.